The holidays are upon us already! 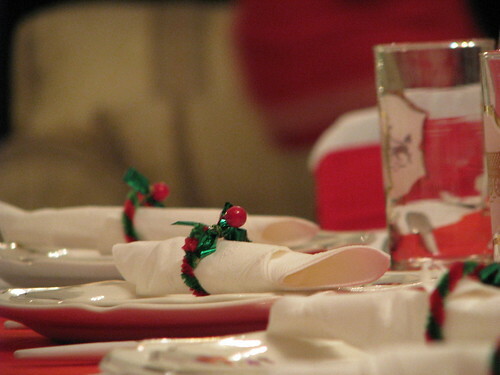 Are you hosting any festive events this holiday season? If you are, please let me gently remind you to not wait until the last minute to get your linens ready. You know how things always seem to take longer than you think they’re going to? Linens definitely fall into that category. To get your linens in holiday shape, use these simple steps. To have your linens ready in plenty of time, you’ll have to plan which pieces you’ll need. Worried you are over-planning? I promise, you’re not. You can’t be too prepared when dealing with party preparations. Get as much done as you can before crunch time. As the hostess, you’ll enjoy the evening so much more if you walk into it really prepared. Search every nook and cranny to find the linens you are going to use for your events. If you have a small home with little storage space, you probably have linens tucked in various places. After you’ve found all of your needed items, sit down with them under a good light. Your next task is to examine them. Are there stains that just ‘magically’ appeared since their last use? Are they frayed on the edges? Are there any minute holes or tears that need to be repaired? Are there any that need to be replaced? Do you have enough linens to cover the amount of people at your event? If you’ve identified issues with your items, make a plan to fix whatever problem you have encountered. If items need to be replaced, order them. If seams need to be re-stitched, break out the sewing box. If you don’t have enough, call your mom to borrow hers. If you haven’t used your items since last year’s holiday season, you’ll need to launder them again. Have you ever dined on dusty linens? It’s not exactly appetizing, so make sure yours are clean before putting them on the table. After washing, make sure they are ironed well if needed. Some tablecloths and napkins are made from more wrinkle-free materials, so they won’t need this step. If there is any doubt as to whether your tablecloth needs to be ironed, please just take the extra 10 minutes and do it. An ironed table cloth can make the whole room have a completely different look. I’ve written a detailed how-to post on Caring for Your Tablecloth, so take a peek if you need some help with washing and ironing table linens. 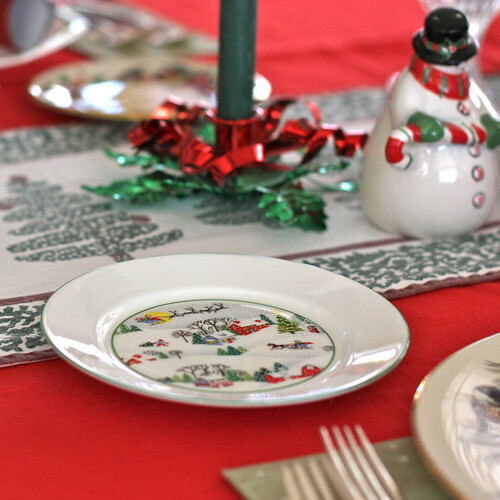 After your festivities are over, you’re left with a heap of tablecloths, cloth napkins and other holiday linens. What do you do with them? The most important step is to take care of them quickly. Don’t let them sit for days and days on your laundry room floor. If stains are present, you want to deal with them as quickly as possible so you have a chance at removing them. The longer a stain sits, the harder it is to remove. The next step is to launder your table linens and then store them carefully. If you treat your table linens gently, they will last for years and years. It’s not too early to plan your table linens. In fact, it’s a pretty easy thing to check off of your holiday to-do list. So grab your paper and pencil and start planning! Looking for other posts on How to Take Care of Linens? How to Care for Tablecloths – A step-by-step guide in washing, ironing and storing tablecloths so they’ll last for years. Caring for Tablecloths and Cloth Napkins – How to treat and remove difficult stains on table linens. Stain Removal Guide for the Holidays – A stain removal guide for most holiday spills.